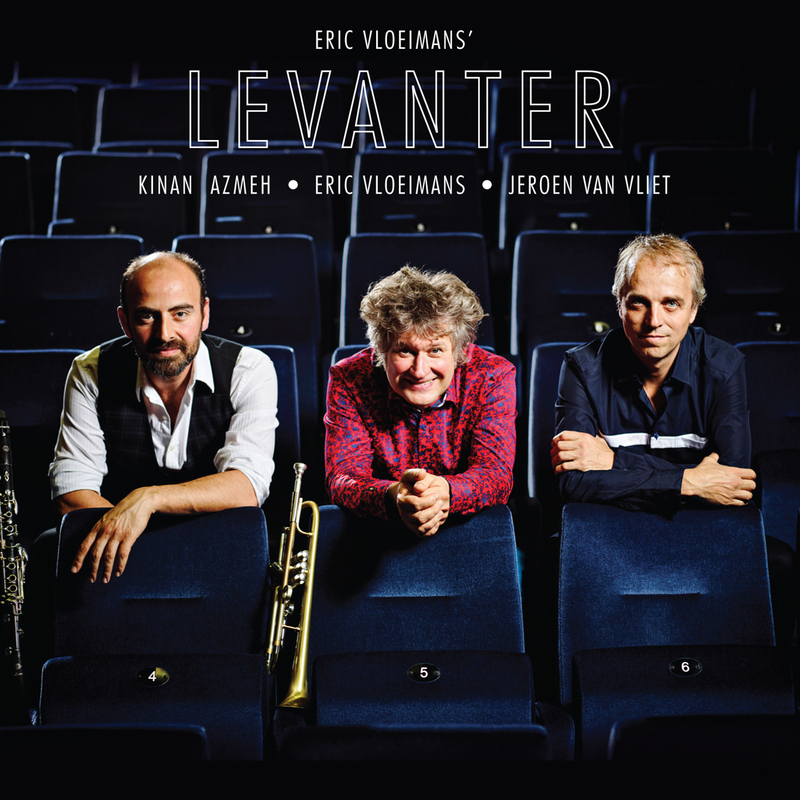 Levanter is the new album by trumpet player Eric Vloeimans. The title refers to the warm, strong, eastern wind that regularly blows accross southern Europe. Eric invited the Syrian clarinet virtuoso Kinan Azmeh for this project, whom he had met some years back on an "Imagining Europe" collaboration. Jeroen van Vliet, Boy Edgar winner of 2014, with whom Eric has been performing for more than twenty years, is the pianist who caresses the keys. This trio will take you along on a musical adventure, flying on a magic carpet of sound, a journey accross the borders of jazz, classical and world music. op on and be transported on the warm billows of Levanter. Genoten van virtuoos en ontroerend concert van Levanter in Woerden 2/2-18.